Fruity, colorful, fun -- strawberries yum!! 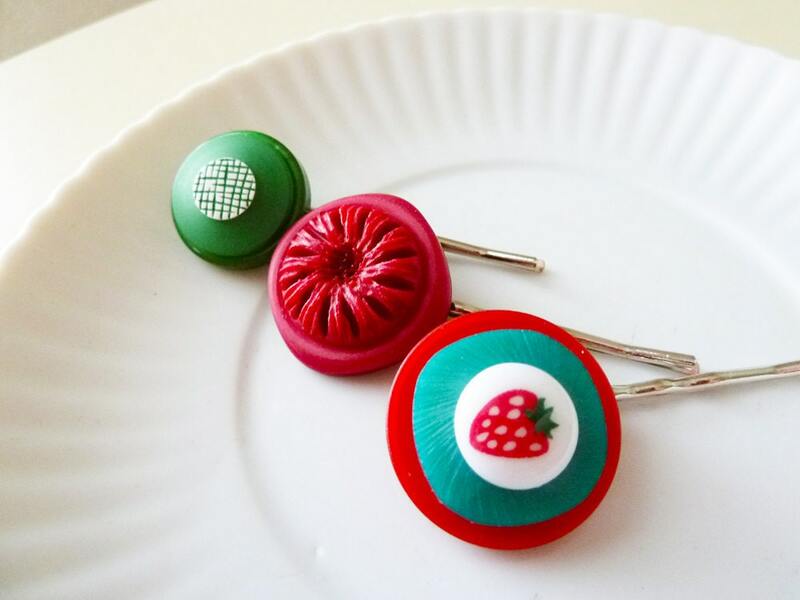 These vintage button bobbies are cute & sweet in lively reds, greens and even a button with a whimsical strawberry on it. 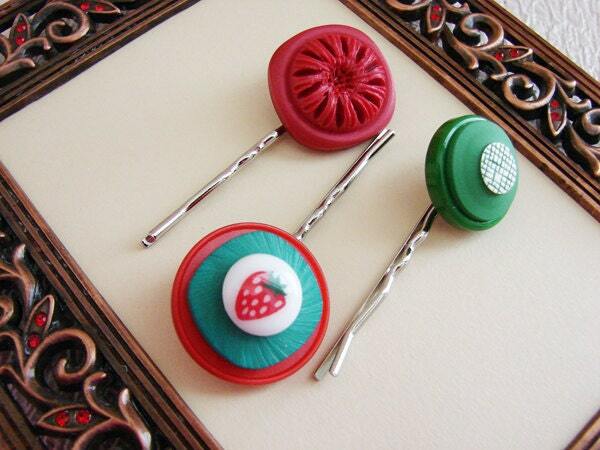 Slide these into your hair for a playful touch of fun! 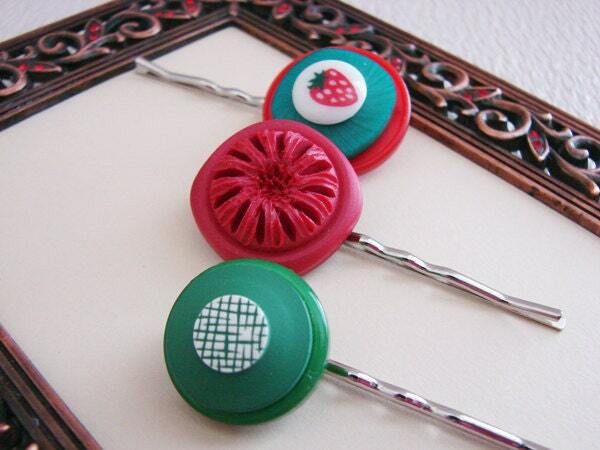 I have securely affixed the vintage buttons to a 2" (5.1cm) silver tone bobby pin. 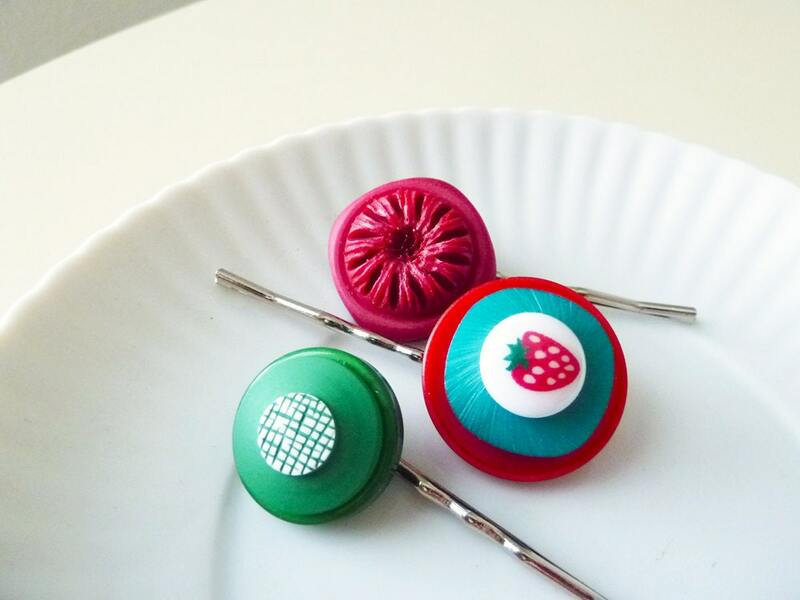 The vintage button blooms measure between 0.75" (19mm) in diameter to 1" (25mm) in diameter.